Leo and Mertsi chose their top psychedelic albums, gigs and curiosities of the fine year 2018. A dominating performance once again from the Japanese group. The band’s sound is truly unique and enchanting, their latest LP as coherent and otherworldly as their two previous ones, yet more laid-back. One of my favourite findings this year. RF Shannon is not a very well-known name in the “psych” scene, but thanks to Fuzz Club who distributed his new album in Europe, I got to know the Texan’s music and instantly fell in love. Trickster Blues is a great album filled with strong desert blues melodies. The Swedish band for me is one of the best psych studio bands in Scandinavia. With a gigantic 21-minute one-sider and four shorter tracks, Origins takes over the listener with a relentless psych-pagan element-bending power. Read my full album review in Finnish here. The LP was sold out before I had time to buy it, which still hurts my guts! Black Helium’s album is a mixture of sturdy rock’n’roll sounds, garage psych, kosmische and groovy stoner. 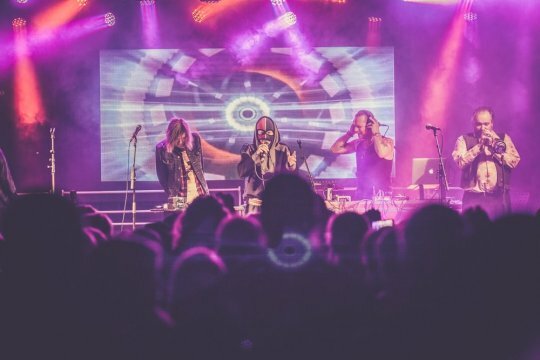 The songs are full of such power that I was not surprised to read the band was formed in 2016 for a special one-off Halloween gig at a heady Londonese cub. Instrumental disco-funk-kosmische smoothness and groovy synths hailing from Switzerland. I like to play this record when I’m hosting a dinner or an evening with my friends. Coke Mountain is one of the psychedelic tracks of the year – so beautiful yet powerfully growing that it gives me goosebumps. Celebration Of A New Dawn by the Finnish group is a colorful and balanced psych/garagerock album that flows warmly and rocks smoothly. I’ve been a fan of Jacco since I saw him for first time live at his home country Netherlands in 2013. He’s a fantastic musician and an likable artist. For Somnium he used old synths and other imaginative solutions to create timeless sounds. It’s a great album, though I expected a tiny bit more. Take a path to the forest and don’t turn back until you reach the verdant end. Skillful and imaginative album full of folky kraut rock and epic Pink Floydish jams from the Finnish band. While the Leeds band’s new album wasn’t as psychedelic as their previous ones, it was a brilliant mixture of indie rock and up-beat kraut influenced electronic pop that provided some of the strongest songs of the year, like Negative Space. Read my full album review in Finnish and English here. Combinations of techno and psych rock have clearly been on the rise, and I’ve been curious about it from the start. Two by Throw Down Bones may be the best mixture of acid house and krautrock so far. Out of dozens of powerful live sets in Eindhoven, this one from the Portugal trio was perhaps the most astonishing. The rhythm of their haunting dark psych masterpiece Policia Preventiva (aka Germinal) is so powerful, yet the band plays it chillingly calmly. If their future LP (hope that happens soon) holds more of jewels like Come About, we’ll be seeing this Ukrainian band in the next year’s list as well. London jazz duo Yussef Kamaal split up unfortunately after their magnificent debut in 2016. This year they both came back on their own and especially Yussef Dayes’ return with Alfa Mist hit the spot with it’s soulfulness and warmness. Its live version (below) recorded in Abbey Road is my most listened song of the year. Overall mesmerizing instrumental LP is a great record that don’t need skipping. Leaving vocals out feels like a good choice, they might have broken the dreamy atmosphere. Less baroque, more synth sounds in the spirit of Vangelis and Mort Garson. Even though, my expectations for Finnish band Jesse’s Höga Nord release were super high, Fluids didn’t let a long-time Jesse fan and a friend of Höga’s catalogue down. A side pure bangers, B side goes under the water and needs more time to dive to appreciate. Love to hear how Jesse’s music evolves with every record. I found Zahn’s album on September, but its magic becomes stronger now: it is a perfect soundtrack for dark and snowy winter landscape. Zahn conjures beautiful and scary world with his double bass and synthesisers. Not for dancing. Japanese guys can handle different styles from prog to psych to space rock. The strongest tunes for me are their ballads, Nazo Nazo in this album especially. Its video is also easily my most loved and watched music video this year. New group by members of classic 60s Swedish psychedelic rock group Träd, Gräs Och Stenar. Over-an-hour length monster has such an engaging moments from the beginning it should not be missed. Disco record from Italy (2018) that could be from Italy (1983). Favourite tracks Stann Fore and ’A Voce ‘E Napule. Fuzzy and catchy uptempo loops make it easy to fall into the music. The awakening from trance comes in the last track which is more laid-back than the other four in the album. Maybe my most listened record of the year. Ode to Roland synths and drum machines. Long and groovy machine drum beats sometimes topped with gently melodies. Start from Queens of Ungilsan. Only 20-minute long album is a manic stew. Short songs neither fade in or out and the beats are digitally constructed sample-based drafts. More shades in Earl’s world than in the previous dark/slow album. I have been a fan of the band since I saw their hilarious music video Analog Fruit last year. Free gig on Sunday evening was packed and sweaty experience in a small venue. Mauskovics looked like a group of crooks who were set free from the prison to play the gig. They played in a cheerful, hungry and sovereign way. Kraut/psych trio from the Netherlands released a promising EP in 2018 and is convincing on stage too. Hopefully in 2019 we will hear their debut LP. Vuosi 2017 on paketissa. 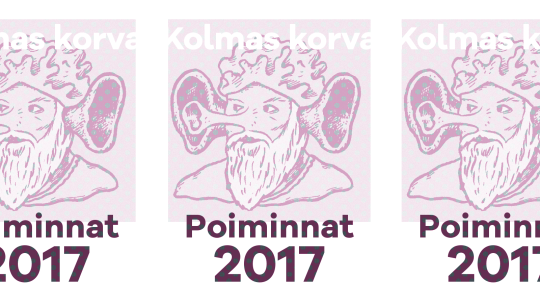 Kolmas Korva listasi vuoden mieleenjäävimpiä levyjä, keikkoja ja biisejä. Omaehtoisesta ja riemastuttavasta rock-levystä tuli heti klassikko. Ei yhtä vahva kuin konseptilevy The Silver Globe (2015), mutta hyvä psykedeelinen popalbumi yhtä kaikki. Suomalaisia psykedeliajulkaisuissa ei korostu määrä vain laatu. Siinain hypnoottisen ja aiempia kypsemmän täyspitkän kruunasi komea levyjulkkarikeikka. Australiasta tulee paljon hyvää psykerockia. Mt. Mountainin pitkät psykedeeliset kappaleet ovat kuin aavikon kangastuksia. Kokenut italialaisbändi löi shamanistisella, vivahteikkaalla levyllä itsensä läpi ns. laajennettuun tietoisuuteen. 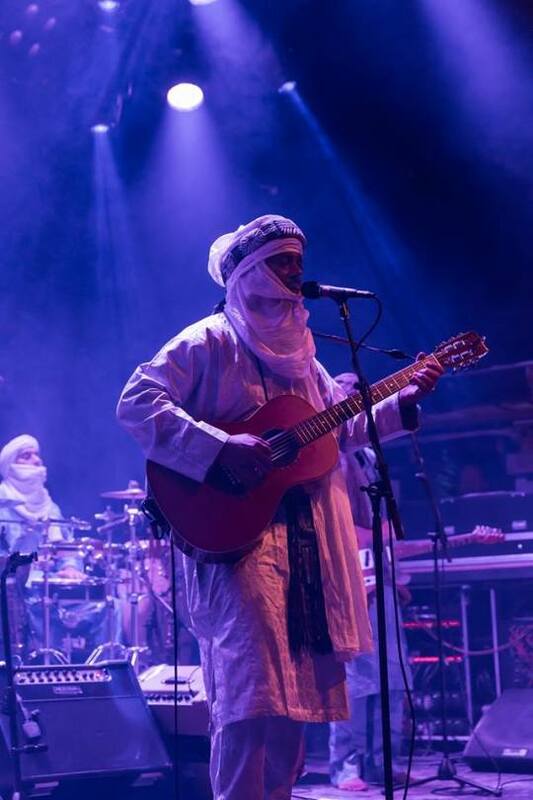 Paras klubikeikka: Tinariwen, Tavastia 27.11. Paras festarikeikka: Ylva, Ilmiö-festari 29.7. Mikko Joensuun Amen-levytrilogia ansaitsisi kaikkea suitsutustaankin enemmän krediittiä. Kolmas levy sukeltaa uskon ja ihmiselon ydinkysymyksiin. Tyylit levyllä vaihtelevat sulavasti Pekka Strengiä muistuttavasta jazzista suorasukaisempaan säröiseen rokkiin. Soft Power toimii vielä paremmin livenä, ja esimerkiksi 2. helmikuuta on mahdollisuus nähdä bändi Korjaamolla. Ensi kesän toiveena on nähdä tämä budapestilainen stoneria ja bluesia soittava bändi vihreä lasipullo-olut kädessä paahteisena kesäpäivänä puistokonsertissa. Erityispomintana levyltä Temple of Moonin kuuma kitarariffi. Yksi vuoden ilahduttavimmista biiseistä eikä vähiten sen musavideon takia. Kuusihenkinen hollantilaisbändi on ahtautunut maalle tyypilliseen kanavalaivaan, The Mauskovic Disco Shipiin, ja rykäisee livenä psykedeelisen diskobiisin. Kaikki toimii laulajan riekaleista hattua ja banaaniperkussiota myöten. Riippuen omasta mielentilasta, levyn musiikki voi joko ärsyttää tai vaivuttaa hypnoottiseen tilaan. Marimbat ja vibrafonit nakuttavat rytmiä tarkasti ja välillä musiikista tuleekin mieleen säveltäjä Steve Reich. Toisaalta vastapainoksi levyn päättää maalaileva pianon ja klarinetin yhdistelmä – ilman kilkuttelua. Joka vuosi kovimmat musadiggarit kaivelevat maan alle hautautuneita julkaisuja ja artisteja menneisyydestä. Rodriguez, William Onyeabor jne. Tämän vuoden yksi kiinnostavimmista uudelleenjulkaisusta on hollantilaisen Cyben kokoelmalevy. Cybe eli Siebe Baarda matkusti 80-luvun alussa Kaakkois-Aasiaan, vaikuttui sikäläisestä menosta ja julkaisi kolme kasettia vuosina 1981-85. Tälle kokoelmalle on poimittu noilta kaseteilta kymmenen trooppisen elektronista biisiä, joista osa menevämpää rumpukonerytmiä, osa enemmän new age/ambient- osastoa.